768LF-SS is rated 5.0 out of 5 by 4. Rated 5 out of 5 by NKPC from Highly recommend! 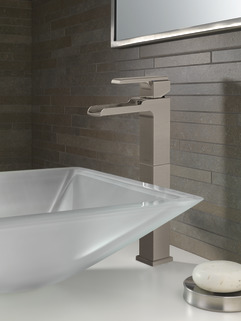 This is a great faucet. It’s really well made and easy to install. And it looks amazing. Very clean lines and timeless. Rated 5 out of 5 by Thankful7 from Beautiful Exceeded my expectations. Easy installation, soothing trickling sound when faucet is turned on, and truly eye jewelry for my sink. Guests continually comment on the faucet's elegant look. I would only suggest that you dry the area where the water dispenses out of immediately after each usage because it leaves a white powdery stain that when dried it does not disappear. I did not dry it in the beginning therefore I believe that's why I have a permanent marking. Nevertheless, you will not be disappointed with this product. 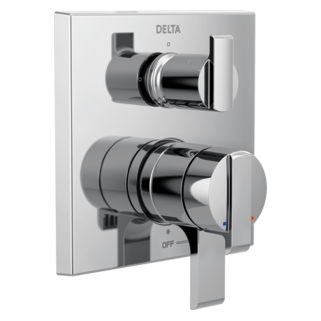 Rated 5 out of 5 by Robert from Ara faucet Love the design, easy to install (I did it). 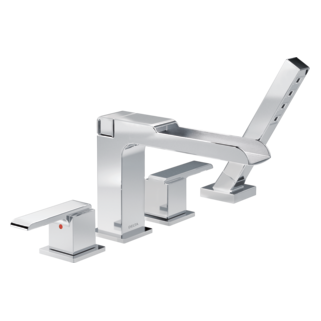 We also bought the towel holder and T-paper holder from the Ara collection. 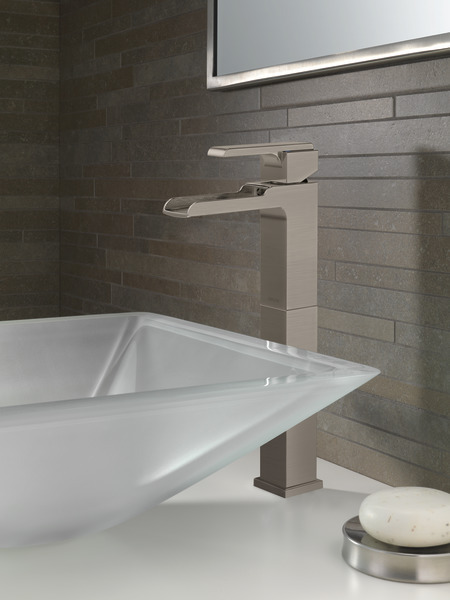 One note, if you buy a tall faucet for a vessel sink, make sure the vessel is deep enough so the water doesn't splash out. How do you clean the water spout to avoid the white stain? Is there a video to show how the water comes out? I'm trying to eliminate the splash factor. Is there an option for a shorter/smaller bottom extension piece? The current one is like 6-7&quot; and makes the faucet way too tall for a normal vessel sink. Does the water spout angle down? I would like to remove the riser part, how do I do that? Thanks! Hello JP, Thanks for your question! 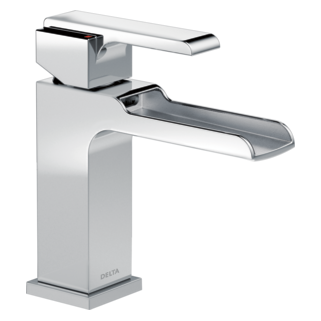 Unfortunately, the riser is brazed to the rest of the faucet body and is not removable. 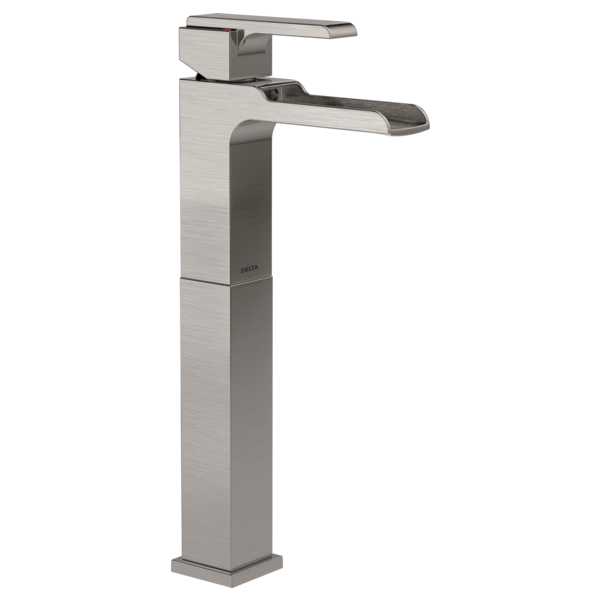 The 568LF is the version of this faucet that does not have a riser. I hope this helps!